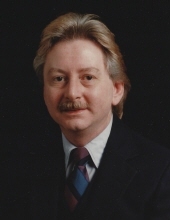 John Wayne Vann, 70, passed away peacefully in his home surrounded by his life partner and family on March 21, 2019. He was born in Mobile, Alabama on September 17, 1948. In 1956, John’s family moved to Moss Point, Mississippi. He lived there until 1960 when his family moved to Pascagoula. He was a 1966 graduate of Pascagoula High School. He continued his education in the summer of 1966 at Mississippi Gulf Coast Community College. In the fall of 1966, he attended the University of Southern Mississippi. He proudly served his country and joined the United States Navy for 4 years in 1969, where he received an honorable discharge as Second-class Corpsman. John went back to MGCCC where he graduated with an associate’s degree in nursing in 1975. Continuing his education, he received his RN license and began his career at Singing River Hospital. John then went back to USM to continue in the field of hospital administration. In 1976, he moved to Houston, Texas where he became a nurse specialist in kidney dialysis at Methodist Hospital for 20 years. Later, he took on the position of Nurse Manager in a private clinic in Houston. When John retired in 2006, he decided he needed to return to Mississippi to take care of his mother. In 2007, he built a home in Gautier, Mississippi. He was a member of Center Pointe Church in Ocean Springs, Mississippi. John was a kind and gentle person who loved spending time with his partner, family, and friends. All who knew him loved him. He was a person of faith and lived life serving others. He will be missed but never forgotten. He was preceded in death by his father, Aulton Vann, Sr.; mother, Grace Vann Bush; brother, Thomas Allen Vann; two sisters, Nancy Ellen Vann and Anna Marie Vann; and nephew, John Randall Graham, Jr. He was also preceded in death by his step-father, Charles Marion Bush. John is survived by his life partner of 43 years, James J. Tisdale; brother, Aulton (Mary) Vann, Jr.; sisters, Betty (John) Zimmerman of Freeport, FL, Linda (Chris) Richardson of Gulfport, MS, and Brenda (Wayne) Smith of Gautier, MS. He is also survived by numerous nieces, nephews, great-nieces and nephews, great-great-nieces, and a devoted cousin, Gwendolyn Doby of Gautier, MS. John also leaves behind his two loving puppies, Rosie and Betty. Visitation will be held on Saturday, March 30, 2019 from 11 a.m. until 1 p.m. at Heritage Funeral Home in Moss Point, MS. Memorial service will begin at 1 p.m. in the funeral home chapel with Pastor Pete Meaking and Brother James Miller officiating. Interment will immediately follow at Serene Memorial Gardens in Moss Point, MS with Pastor Ted Pagel officiating. Singing John’s favorite songs will be Lekelia Jones and Erica Freeman. In lieu of flowers, the family requests memorials be sent to Center Pointe Church, P. O. Box 1303, Ocean Springs, MS 39566, or St. Jude Children’s Hospital, P. O. Box 1000, Dept. 142, Memphis, TN 38148-0142 (1-800-873-6983). A special thank you to Dr. Brian Persing, MD and staff, Hospice of Light, his hospice nurse, Donna Barnes, Mrs. Heather Carole, and Mrs. Lavania Hammond for your love and care during his illness. To send flowers or a remembrance gift to the family of John Wayne Vann, please visit our Tribute Store. "Email Address" would like to share the life celebration of John Wayne Vann. Click on the "link" to go to share a favorite memory or leave a condolence message for the family.